This very week, each year, I’m faced with immense vacation guilt. If you’ve been reading the site for awhile, you know that Sam and I visit my mom’s cabin in Upstate New York for July 4th each year. Grandparents, aunts and uncles come. A small handful of cousins along with a few novels, a bit of sunscreen, and some old tennis rackets. 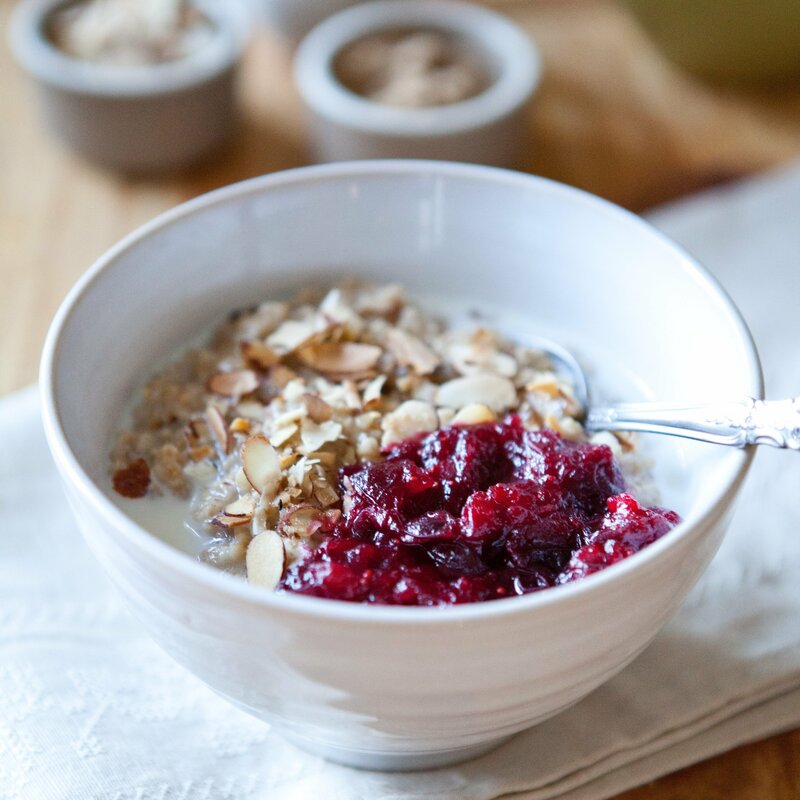 What doesn’t come along are work emails or granola orders or vendor spreadsheets. And at first I always feel like the world might come crashing down if I leave these things for one week. And then I always return and pick up right where I left off … with a decided lack of world-crashing-down. So I’m reminding myself of that this morning, one day before we take off, with just enough time for me to share these delicious fresh banana blondies with you. 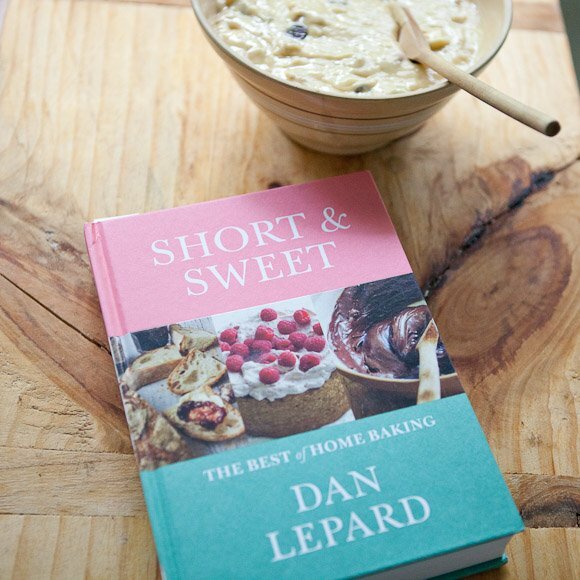 About a month ago, I received Dan Lepard’s indispensable baking book, Short & Sweet, in the mail. I think that if you had to own just three baking books, this should be one of them. Lepard writes a baking column for The Guardian with recipes that maintain a real likeable simplicity while still taking swift yet subtle forays into new places — especially in regards to whole grain flours (and I love this about him). There are Rye Hazelnut Brownies, Blueberry Creme Fraiche Cupcakes and a Marmalade Layer Cake. There are Raspberry Ripple Tarts and Sticky Toffee Apple Buns. He also has a wonderful chapter on bread baking, with accessible recipes for quick loaves, rolls, baguettes and whole-wheat breads (hellllooo walnut loaf!). 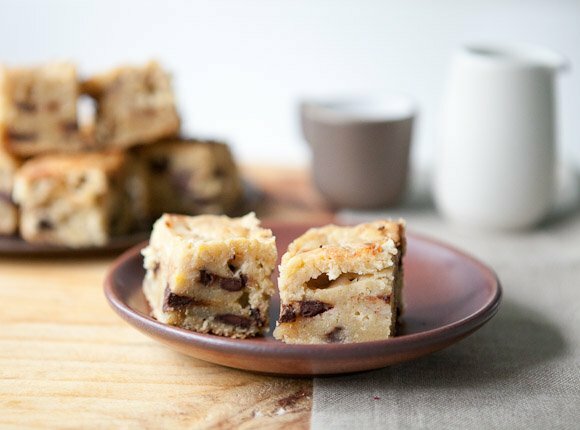 It was almost impossible to choose just one recipe but the Banana Blondies really stuck out so I gathered up a few ingredients and set out to make what I knew would be the perfect treat for us to travel with. And then I changed the whole recipe. Not deliberately and not so I could claim that I’d “adapted” it at the bottom of this post. In truth: I didn’t want to use white flour like the recipe called for and have, instead, been wanting to experiment more with einkorn flour (more below). I also didn’t want to use white sugar. And Lepard calls for this scrumptious sounding toffee that you make and fold in and, well, I’m truly awful at making toffee. So I changed everything up and added walnuts and chocolate instead — and while I’m sure Lepard’s recipe is divine, these are too. And because of that, I can’t wait to continue to draw inspiration from this book all summer long. 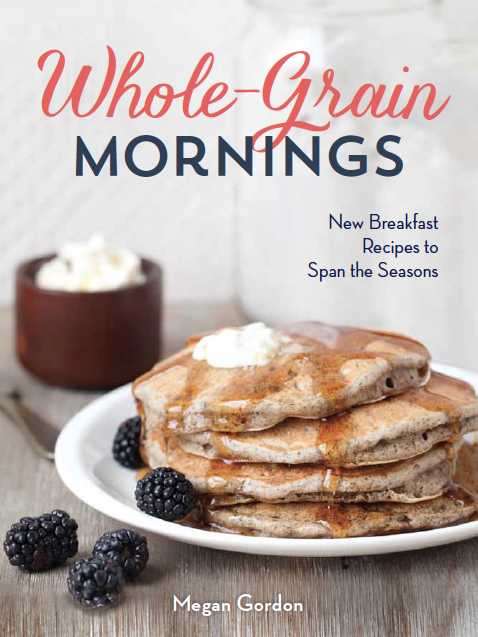 If any occasion were worthy of fresh banana blondies, it would be one in which my first cookbook, Whole-Grain Mornings, goes on sale for pre-order on Amazon. It doesn’t officially release until January 1, but you can order it now and you’ll be one of the first to get it at the start of the New Year. I know many of you have followed along from the first announcement to the preview of the photo shoot, so I wanted to give you the latest update. My publisher and I had a lot of back and forth discussions about the cover with many differing opinions and weeks and weeks of nail-biting, but at the end of the day, this is truly a book that I’ll be so happy to own and that I’m already cooking from often. If you like and frequent this space, I think you’re going to like it as much as I do. And as a sidenote, I’m also on Goodreads where I often list what I’m reading and where you can learn even more about the cookbook. I’d love to connect with you all there, too! A quick note on einkorn: If you’ve never used einkorn flour, it’s a wheat flour that acts much like white all-purpose flour in baking recipes so it’s a really easy one to substitute without noticing much of a change in taste or texture. Einkorn is technically the first species of wheat so it’s completely non-hybridized and is considered to be, genetically, the purest form of wheat available. You can buy einkorn wheat berries and use them however you like to use farro or another heartier grain at home (grain salads etc.) or you can buy the flour and use it in your favorite baking recipes. It has a subtle, slightly sweet flavor and a beautifully soft texture. If you don’t have einkorn flour, spelt flour would work really well in this recipe — or certainly feel free to use all-purpose flour, too (or a mix of all-purpose and your favorite whole-grain flour). If you use something interesting, I’d love to hear about it! When I first pulled these out of the oven, I was sure I’d have to title this recipe “Banana Cake” as they looked far puffier than a good blondie should be. 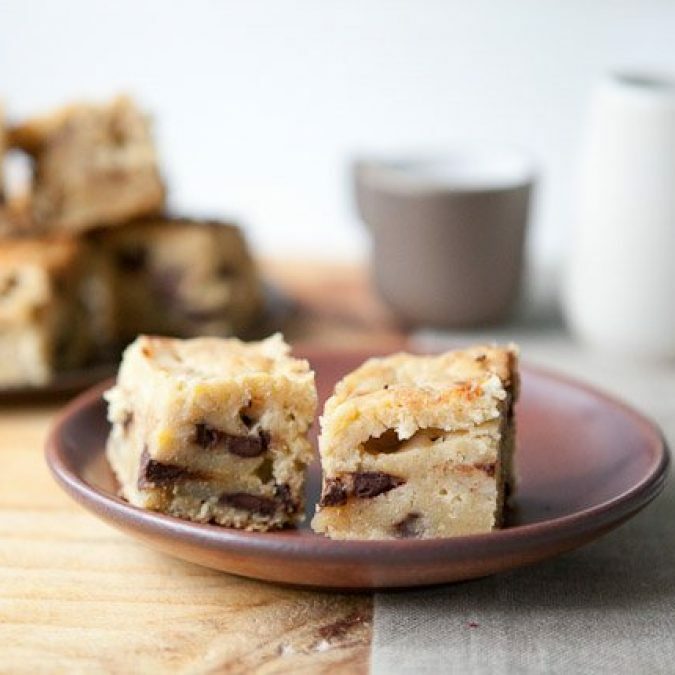 But don’t over-bake them and allow them to truly cool completely before serving and they’ll resemble the best of both worlds: a slightly cakey blondie. Butter an 8-inch square pan. Preheat the oven to 375 F.
In a small saucepan, heat the butter and white chocolate over low heat until combined — stir occasionally to prevent burning. Scrape the mixture into the bowl of a stand mixer fitted with the paddle attachment (or feel free to use a bowl with electric beaters). Add the banana pieces, vanilla, and natural sugar and beat until just combined. Stop the mixer and add the egg. Continue beating until smooth. In a small bowl, whisk together the flour, salt and baking powder. With the mixer running, add the dry ingredients to the wet ingredients in three rounds, being careful not to over-mix. Once combined into an even batter, fold in the walnut pieces and chocolate chips and spoon the mixture into the prepared baking dish. Bake for about 35 minutes or until the top is golden brown and the middle no longer wiggles. Let cool for at least 2 hours before slicing and serving. 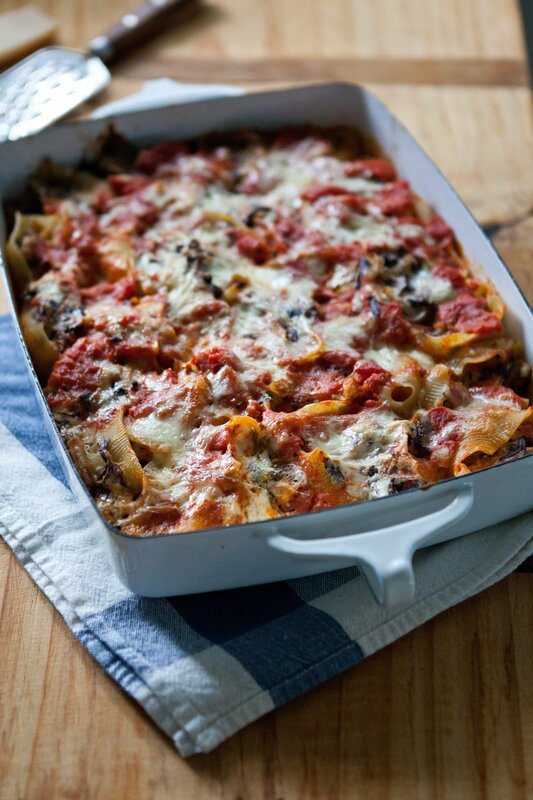 Store leftovers at room temperature, covered, for 2-3 days. The cover is beautiful! I'm so excited for it to come out. Enjoy your time in New York. Here's to a wonderful getaway! And to that gorgeous book cover! And einkorn! I was just wondering today if you were going to New York for the 4th - so happy you are leaving behind what will still be there in a week. I am getting better at doing that, and hardly even looked at email when we were just in Mexico. Have to admit it was heaven. COOKBOOK, HURRAH! I'm so pleased for you!! 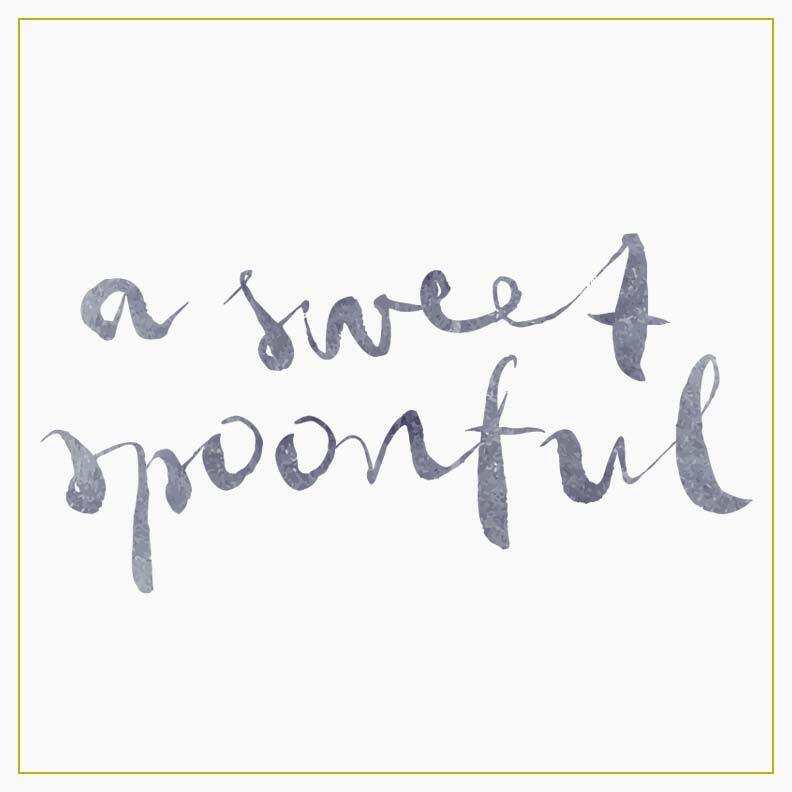 I love the poem, the brownies, and this post - so delightfully summer! I'm looking forward to your book being released Megan, I've been keeping an eye out for it even since you made the announcement. I can't wait to read it. Good luck with it! Good luck with your book release. This blondie recipe is calling my name! The excitement you must be feeling! It´s a good thing you´ll be relaxing this week. The cover is perfect, very much you. Lovely book! I love my copy of Short & Sweet - it's fun seeing covers from other countries too, as ours doesn't have any images of cake on the front! These blondies look gorgeous. Love this post! 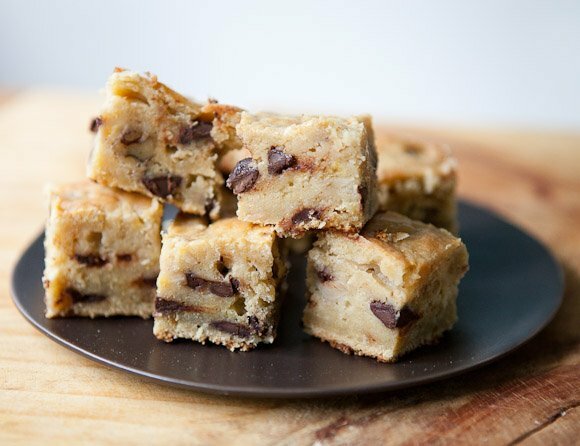 So much goodness, not the least of which - the blondies! My congratulations to you on your book release and wishing continued success! Gorgeous cover! Congrats, again. Enjoy your vacation! yes! I can't wait to hold that book in my hot little hands. Enjoy your vacation. You deserve a week of reading and good company. Many congrats, my dear! Have such a wonderful time, friend. The book is GORGEOUS. Headed to pre-order now. I hope you had a MOST fantastic trip, Megan. I adore Mary Oliver and adore you even more for sharing a fondness for her wisdom. Nice shot, I'm going to cook it! thanks. I keep stopping at this recipe whenever I look through the book and then deciding against them for one reason or another (maybe it's the toffee) so thank you for this nudge (and your changes) - the bananas are piling up in the freezer now so it's time to get baking! Yes you should try them - so simple and surprisingly bananan-y. Much, much better the second day if you can wait. I really liked Capital a lot: smart cultural study on people and it'll hook you with a slight mystery component. Now, alas, I'm back to my usual 'why can't I pick up a book at home?' mode. Sigh. Hope you're enjoying your week!